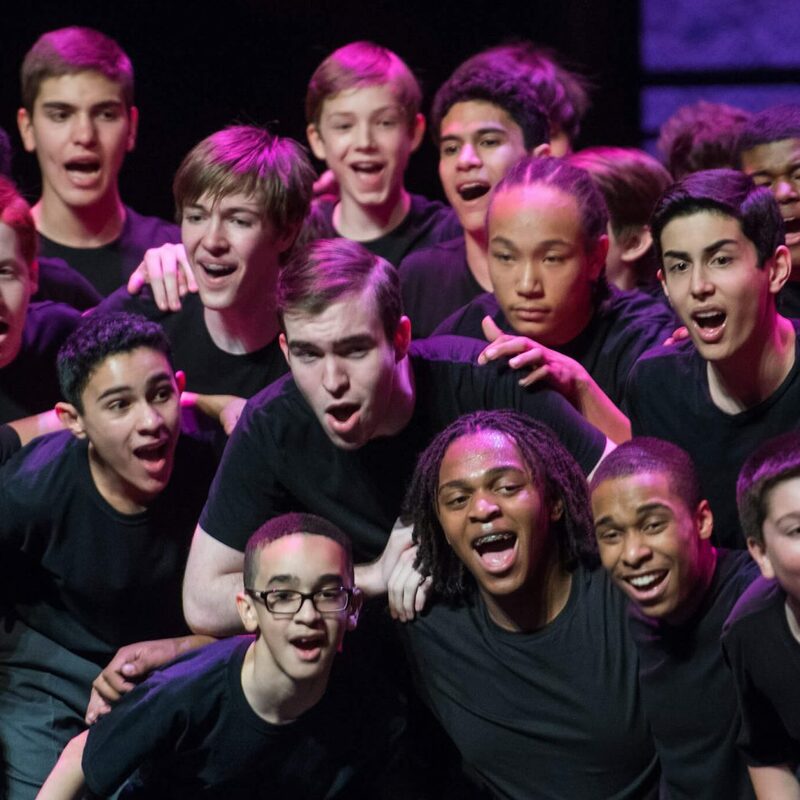 It is the mission of the Young People’s Chorus of New York City to provide children of all cultural and economic backgrounds with a unique program of music education and choral performance that seeks to fulfill each child’s potential, while creating a model of artistic excellence and diversity that enriches the community. providing over a thousand children each year from a diverse spectrum of cultural and economic backgrounds with innovative vocal music education. offering choristers YPC’s College Bound Program, ensuring 100% of YPC graduates attend college. redefining what can be expected from young voices in the vocal music field by raising the level of artistry and performance for children. expanding and invigorating today’s repertoire for children’s choruses, with over 100 commissions and premieres by some of the world’s most distinguished composers, many of whom had not previously written for a youth chorus. reaching and inspiring millions of listeners annually through performances at national and international concert halls, radio, and TV programs, recordings, and more. giving choristers the chance to travel across the U.S. and world for concerts and competitions, and collaborate with children and audiences from different cultures. providing thousands of children with a path to success, while connecting with people from all walks of life. The Young People’s Chorus of New York City (YPC) is recognized worldwide for its award-winning performances and spectacular artistry. But the chorus grew out of humble beginnings. It all started with Francisco J. Núñez, a young piano prodigy in Washington Heights whose life was profoundly changed by music. Through his musical talent, he met and socialized with children with the same musical interests, but from different cultural and economic backgrounds. He learned from them, and they learned from him. Inspired by this childhood experience, Núñez created a children’s chorus based on diversity, using music as the unifying force to engage and teach its choristers. By founding YPC, Núñez fulfilled his dream of bringing together children from all walks of life to make beautiful music and friendships, creating new opportunities and a brighter future for thousands of YPC children and their communities.